Our Learjet 31, configured with a custom medevac interior, can accomodate one patient and up to five medical personnel or passengers. With a standard medical crew of two -- one Flight Nurse and one Paramedic -- this allows family members to accompany the patient on the trip. 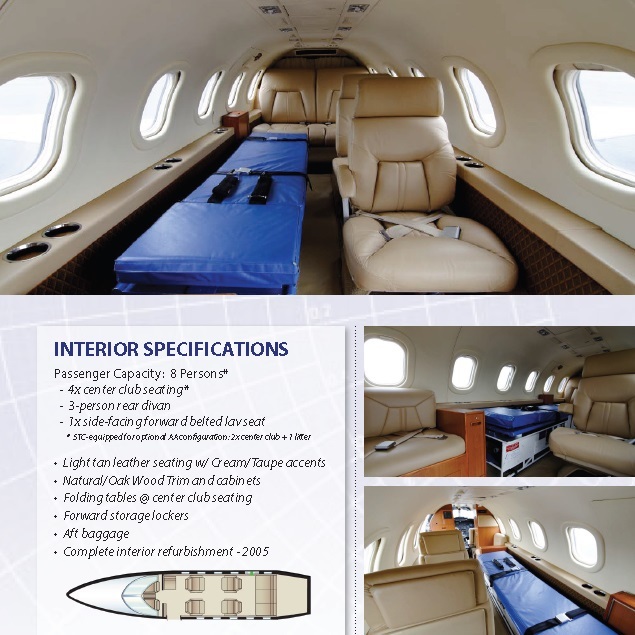 Inside, the air ambulance custom interior includes onboard medical oxygen, medical pneumatic systems, 110v power, a custom stretcher and much more. Flights are equipped with Advanced Cardiac Life Support (ACLS) equipment, IV pumps, and monitoring equipment, plus any other specialized equipment necessary to meet patient needs. The aircraft is fully pressurized, and can cruise above most weather, making it ideal for medevac missions. The Learjet 31 aircraft cruises at over 500 mph with a range of 1500 statute miles, yielding capability to move a patient and med team from South Florida to New York in under two and a half hours. The Lear 31 can operate into short runways, which allows us to respond to a variety of smaller communities if needed. The Lear is a true "all-weather" aircraft making operations in the Northeast safe and efficient, with redundant systems onboard to handle icing conditions, track weather, and cruise at a service ceiling of 51,000 feet. 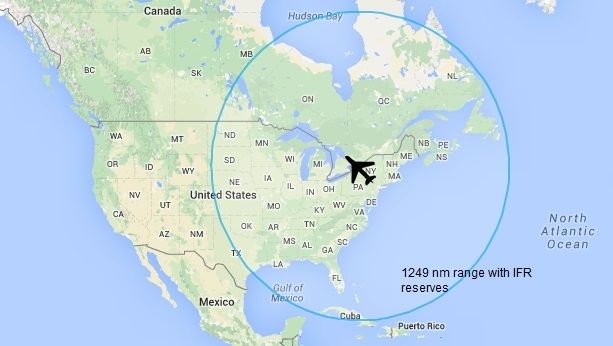 With a range of 1500 statute miles, we can operate non-stop on flights up and down the Eastern United States, and with one refueling stop coast to coast.